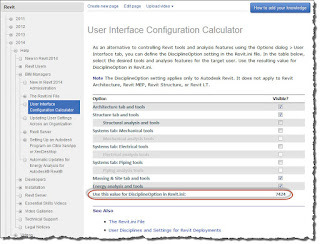 EDIT: December 30, 2013 - This calculator appears to be missing during the migration from the older wikihelp system Autodesk Help was using. I don't know if it will be restored or not. 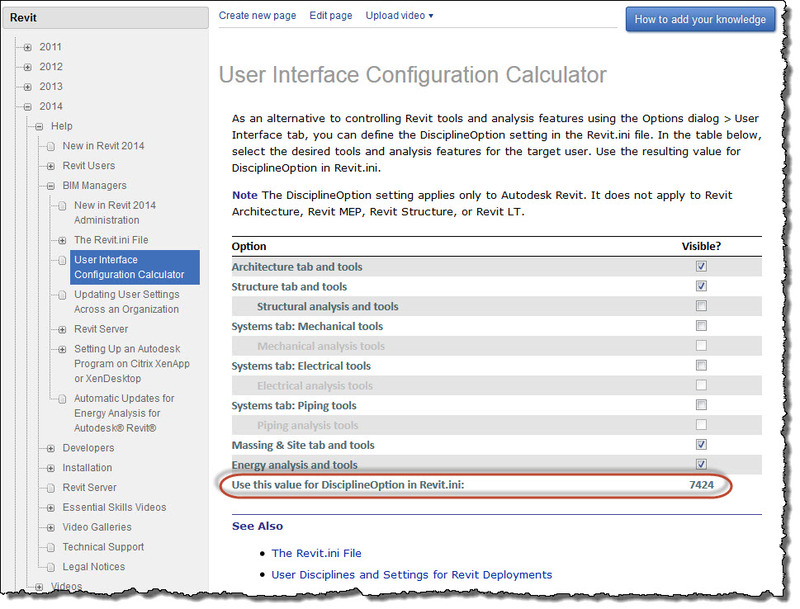 If you are a BIM Manager working on deployments and want to configure the Revit.ini file to turn on or off specific discipline options when you use Revit (not the discipline specific installations like RAC, RST or RME) they’ve provided a User Interface Configuration Calculator. 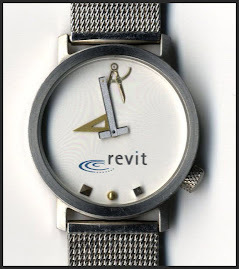 Check of the things you want and the calculator provides a value that you enter for the DisciplineOption setting in the Revit.ini file. For ex-AutoCAD managers this is similar (eerily) to the numbers that result from different OSNAP settings (and others), remember?? The same "bit" method is probably used to create unique numbers for each possible combination settings. No, sorry. It looks like it has been lost in migration from the wiki format to the current one.